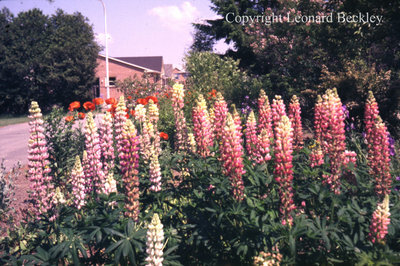 A colour slide of flowers in Leonard Beckley's garden in Whitby, Ontario. In this view houses can be seen in the background. Leonard Beckley's Garden, June 1983, Leonard Beckley. Whitby Archives A2014_004_233.